Waaaay back in Spring this year I attended a day with Command Brand as one of their ambassadors for the second year running. 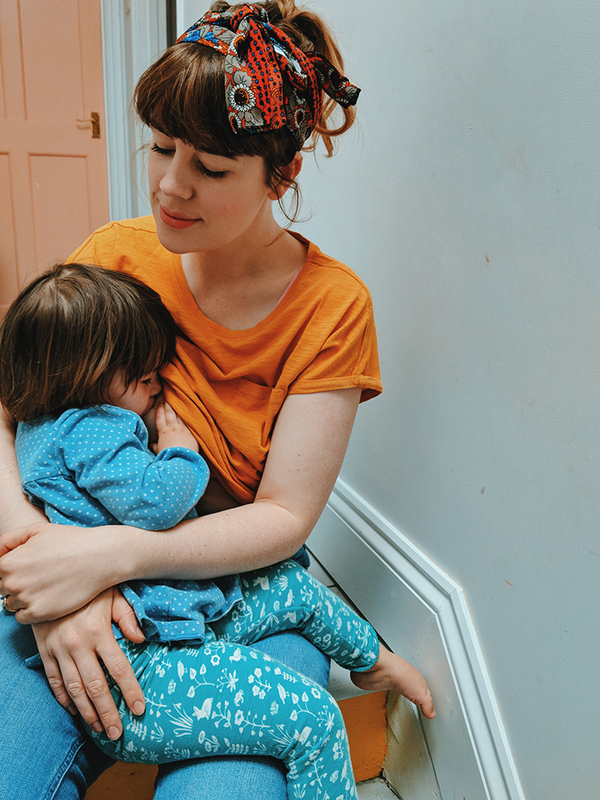 It's been so brilliant to work with this brand again in 2017 as they are honestly a product that we use a lot in our home as we are always changing things about. 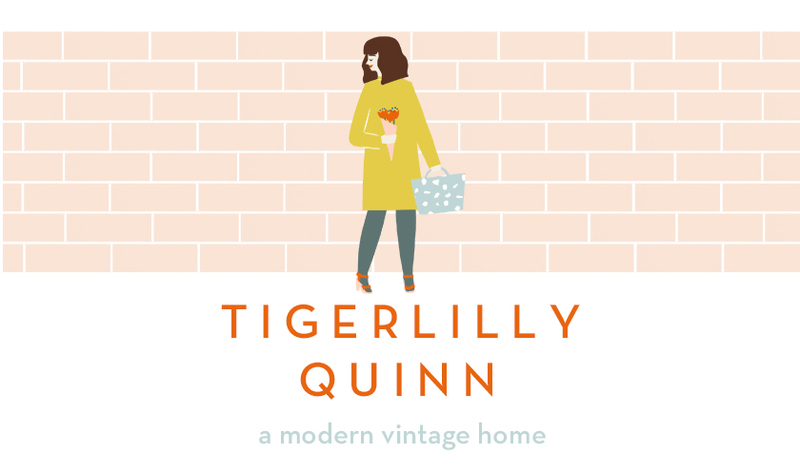 I think anyone renovating a home or just someone with an interest in interior design is familiar with this company and their genius Command Strips (which hold up most of the prints in our home!). This is the first of the two crafts I did with them this year and held up with a single command hook with a sticky back onto a window frame. 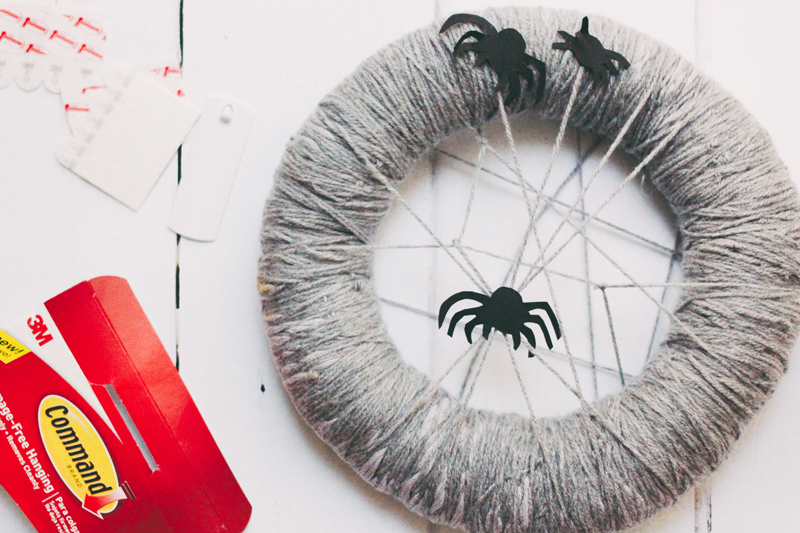 With Halloween fast approaching I hope this gives you or your little ones some inspiration for easy to make decorations for the spooky holiday! To make this wreath I simply cut out a circle of cardboard using a dinner plate as a template, then drawing round one of the kids plates to make a smaller circle in the middle I cut this out with a craft knife. 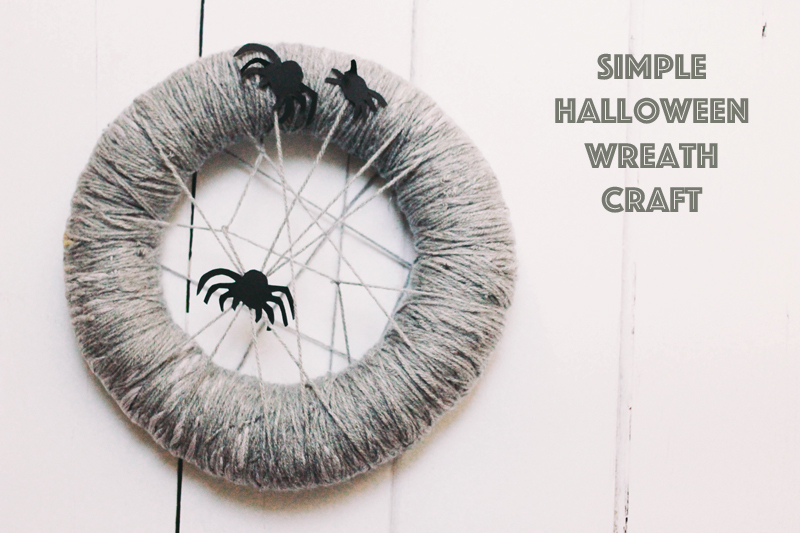 After this I used two balls of wool to simply wrap round my cardboard to create the wreath. In hindsight I think I could have padded it up initially with bubbles wrap or to save wrapping it with quite so much wool (and taking less time!) but I'll know for any wreaths we make at Christmas! I used the last bits of wool to simply wrap across the circles to create a spider web effect and then tucked the end of the wool between the tightly woven edges. I free hand draw and cut out some spiders and it was finished! I think you'll agree it looks quite cute and creepy. I love how it looked hung on the window frame. 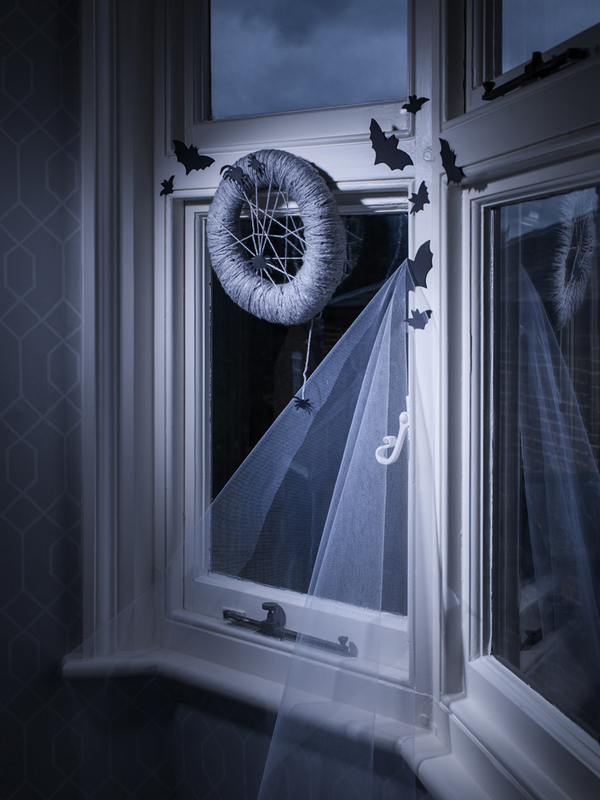 I added a bit of netting to create a spooky cobweb effect onto the rest of the window and then cut out some bats for added effect! 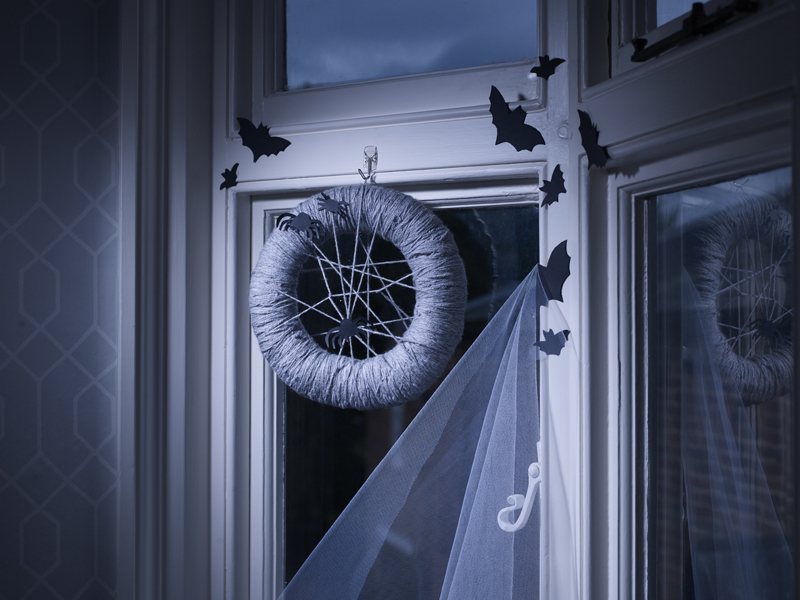 The Command Hook was able to easy hold both the netting and wreath and being so simple to put up and then remove without taking any paint off the window means it was super simple to decorate this little corner for Halloween! Don't forget to check the Command Brand site for more ideas and to see all the useful removable products they do!